Always like having parity since the holiday themed cheesecake is very centric to women as subjects of the gaze. Sorry, really hard to find any vintage Christmas-themed good-boy art featuring men so here's the best I could do. Hot. 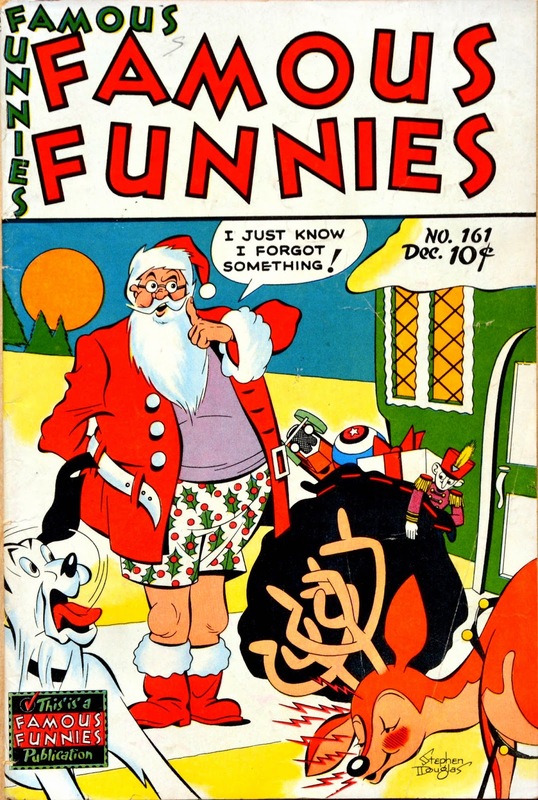 Famous Funnies #161 (December 1947). Art by Stephen Douglas.